If you haven't noticed…I've changed the look of my blog! Take a peek on your computer browser for the full effect ;) I worked with Mina at Underline Designs and couldn't be happier with the finished product. Through four years of blogging, I've changed up my blog design around 7 times. With all the change, I feel like it has slowly gotten better and more "me." 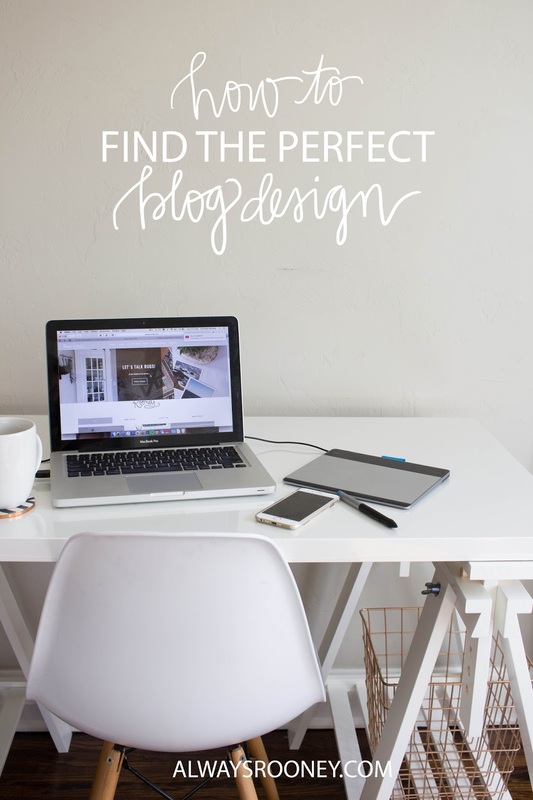 Through all the changes of my new design I took some notes I wanted to share with you on how to find the perfect blog design. Blog design can be tough. It is full of html, css, coding and crap that I can't pronounce. So many symbols, letters and numbers are jumbled together and somehow form a beautiful website that subtly compliments the content of each page. I am no design expert, so when I was searching around for a new blog layout I left it to the experts instead. When I say I love Etsy, I don't just mean for fueling my career. I love it for shopping, home goods, income and tech needs. I stumbled across Underline Designs and fell in love with Mina's shop. She knows her technical stuff plus she knows how to make a blog look professional, clean and well designed. My criteria for a blog template was clean, functional and I hoped it would somehow make it easy to incorporate highlighting my two Etsy shops. No easy feat, but when I found Mina's shop I knew her designs were just what I needed. I emailed her some basic questions about changing a few things about the layout and she replied within 15 minutes! I was sold. Not only was the communication with Mina incredible, the installation and troubleshooting was a breeze. I don't even know if it could be categorized as "troubleshooting" since it didn't seem difficult at all. I have to recommend her services and designs because I am blown away by her business and customer service! 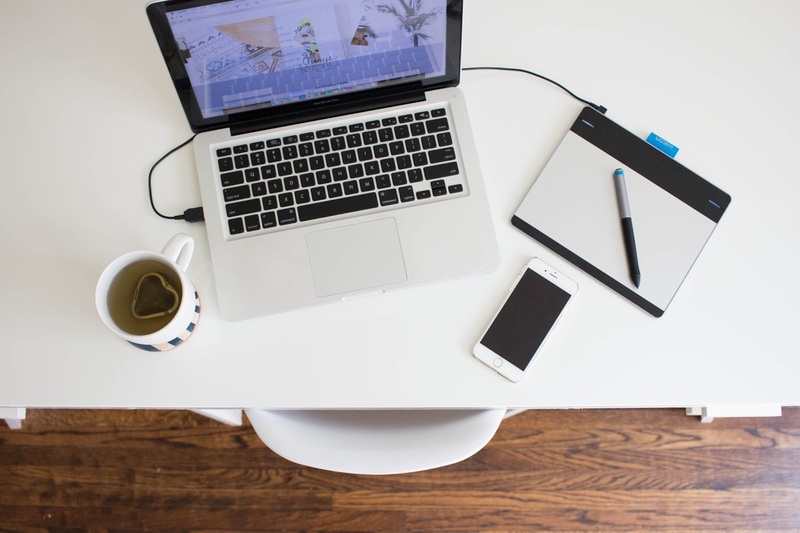 I know finding the perfect blog design can be a little more difficult since everyone has different needs for their blog so, I put together a few tips for choosing the perfect blog design for your blog. What are your favorite blogs and what do you like about them? Is the navigation easy? Is the layout simple? Make a list of if you want. A sidebar, no sidebar, simple or more unique designed, if you'd like a slider at the top… the list can be whatever you like! Whatever it is, write it down and even better- sketch it out. This will help when you get in a sea of searches and are overwhelmed by all the options to narrow down what works and what doesn't. In the age we live in, most of your traffic will be from a phone. You can have a beautiful template on the computer but it looks like you barely put any effort into it on a phone screen. I chose to work with Underline Designs because it was easily advertised that every template was responsive. The extent of html I know is from my Myspace page in middle school and even though it comes in handy for small tweaks, it is not enough to build a website design. A lot of templates you buy will require you to buy extra tech support or figure it out on your own. I am all for DIY's but this is where I draw the line and hand it over to someone else. With Underline Designs, Mina was helpful through every.single.step. She not only provides you with a step by step installation tutorial (with pictures) but answers every email promptly. This is a huge asset in any template investment you make, because things will probably mess up or not make sense and it helps when someone is basically holding your hand through the whole thing. I know minimalism is a huge trend right now and for a lot of people it is a lifestyle. I don't usually err on the side of minimalist, but I try to restrain myself. If you are choosing between a few designs, which one is the most simple? Choose that one. After you add your own logo, photos, about section and everything else it will look clean and be easy for your reader to navigate while not being overwhelmed. The more you use your design and live with it, you will continue to find things that will make your blog better. Continue to edit and add things you feel you would enjoy if you were visiting a blog you just stumbled across. I've had my new blog design up for a few weeks and instead of doing a complete overhaul I have been changing things here and there and really feel like it has been an organic way to see what works and what doesn't work. Evaluate the longevity of the design. When choosing your blog design, make sure it is something you will be happy with for at least a year. Templates are pretty easy to come across at a low price but changing your layout can take a lot of time. You want something you can grow with and not have to change every couple months. How would you define your brand? Is it fun and quirky or simple and refined? Whatever it is- make sure your blog template is a great representation of your overall blog brand. I love using Pinterest as a search engine instead of Google because I find that the search is better suited to my style. Although Google is great, it will take much longer to find a designer that is in line with your brand. Etsy and Pinterest will help better curate your search for your blog design so start there! 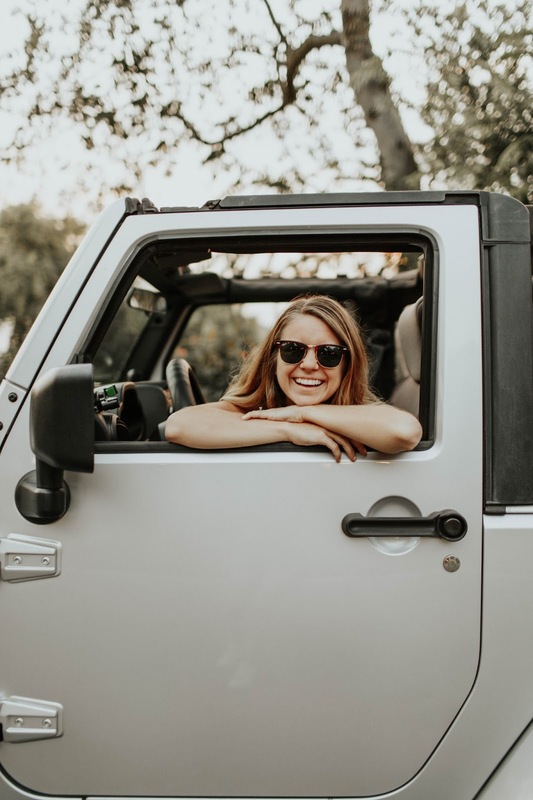 Be specific in your search instead of just saying"blogger templates" maybe try "minimalist one column responsive blogger templates." It may seem like I jumbled a bunch of words together but for Etsy especially, this is how you'll find what you are looking for faster. I've had great luck with buying my designs off of Etsy and there are countless designers to choose from! I felt like I hit the jackpot with Underline Designs, so if you need to start somewhere check out Mina's work. Good luck finding the perfect blog design. I'd love to hear your thoughts on how you found your blog's design!